With hundreds of levels created by our community the screen displaying them became really unusable and it was urgent to replace it! This new screen uses infinite scrolls and can display an unlimited number of levels! 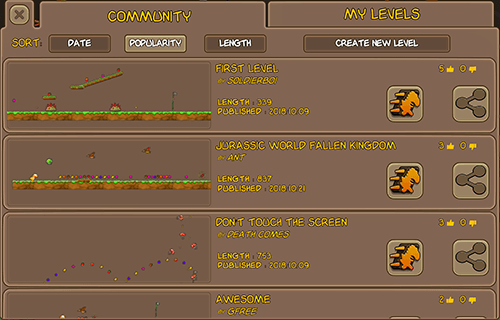 In addition, levels can be sorted by date, popularity or length. It is time to play on the best user-created levels and to showcase yours!